Professionals should be held to higher ethical and moral standards because of their education. 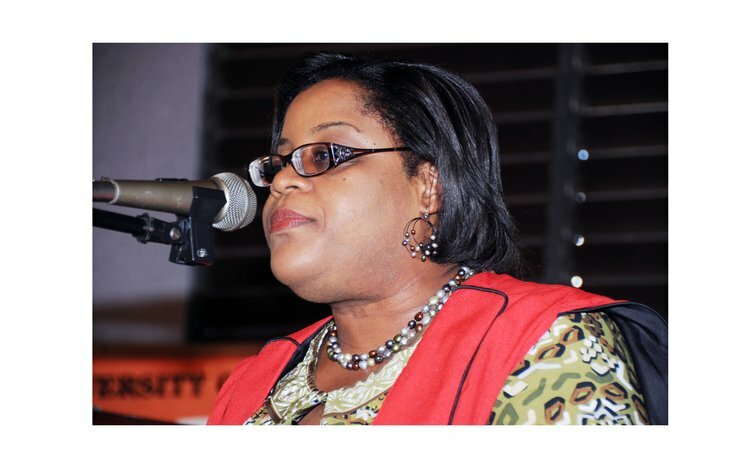 Consultant Gynaecologists and Obstetrician, Dr. Ruby Blanc, told the graduates of the University of the West Indies (UWI) Open Campus Dominica that she is sometimes appalled at the behaviour of some of these persons. "We have a responsibility to be good role models in society- that cannot be over-emphasised," she said. "Too often we encounter professionals who do not remain true to the moral and ethical dictates of their professions. They instead facilitate questionable agendas of individuals who have much less training and education than we do." She added: "Personally I am especially alarmed at the pervasiveness of materialism, negativity, laissez-faire attitudes, and acceptance of mediocrity, general inertia and laziness, promotion of dependency and get rich quick with as little work as possible attitude that is evident all around us. As educated persons we can choose to hide our heads in the sand or clouds as the case may be, and pretend that these serious and damaging problems do not exist." Dr. Blanc was the featured speaker at the recognition ceremony of 44 UWI graduates at the Fort Young Hotel on Thursday. Only three males graduated. One of the three males received a certificate in Criminology; eight students received certificates in Early Childhood Care and Education Administration and three in Early Childhood Care and Education; one received an Associate of Science in Administrative Professional Office Management; two received the International Association of Book-keepers Diploma in Financial Administration; seven received the Bachelor of Education; 15 Bachelor of Science, Social Studies; one Executive Diploma in Management; two Post Graduate Diploma in Instructional Design; two Masters of Arts in Teacher Education and Teacher Development and one Executive Masters in Business Administration. "Getting towards this milestone was not without its challenges," she stated. "I am certain that we can all identify that the trials of effectively managing a full time life, for some of us that includes having a spouse and children with a full time job and being a student all in the same day. Some of us had to give up many of life's exciting pleasures and luxuries just to be able to make this happen."